The Three Cup Glass Handle Series Coffeemaker used together with the scientifically designed, patented CHEMEX Bonded Filters, will guarantee that our pour over brewing process will deliver the perfect cup of coffee, without any sediments or bitter elements. 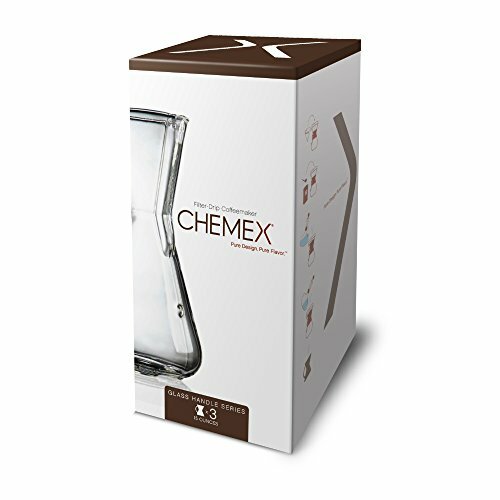 If you have any questions about this product by Chemex, contact us by completing and submitting the form below. If you are looking for a specif part number, please include it with your message.